For centuries the common primrose has spread breathtaking carpets of pale lemon yellow across the globe. They are flowers of the field, hedgerow and meadow, and one of the most important garden flowers. Abundant, edible and beneficial for many ailments, they have supported civilization’s social and cultural foundations. As harbingers of spring, they have captured the attention of gardeners, plant breeders and scientists, while artists and poets have found them essential as both subject matter and muse; William Shakespeare introduced us to the ‘the primrose path’, a pleasurable but destructive route, in several of his plays, and Charles Darwin spent over 30 years working with primroses to solve an elegant evolutionary mystery. This is the story of how primroses became so successful, circling the Earth, adapting to human civilization, and yet holding their own on inaccessible craggy summits where they may never be seen. Bringing together stories, facts and folklore from around the world, this is a delightful guide to this hugely popular flower. 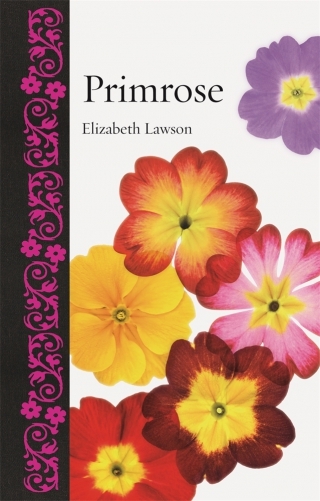 Elizabeth Lawson is a naturalist, writer and lecturer specializing in horticulture. Her most recent publication is Green Voices: Defending Nature and the Environment in American Civic Discourse (2016). She lives in New York.